Trading of Nifty 50 index futures on the Singapore stock exchange indicates that the Nifty could rise 4 points at the opening bell. Overseas, Asian stocks rose after their US counterparts closed higher and as rising yields boosted financials. US stock indices got a boost from bank shares in an otherwise lackluster session Monday as investors digested warnings from the world's financial leaders about the impact of protectionism on growth.  Back home, trading for the week began on an upbeat note yesterday, 23 July 2018 buoyed by the Narendra Modi government winning the no-confidence motion in the Lok Sabha on Friday, 20 July 2018. 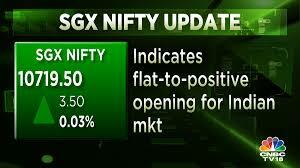 The barometer index, the S&P BSE Sensex, gained 222.23 points or 0.61% at 36,718.60. The Nifty 50 index gained 74.55 points or 0.68% at 11,084.75. The Sensex settled at a record closing high level. Stocks also got a boost by the government's reduction in goods and services tax (GST) rate on 88 goods and services. The trading activity on that day showed that the foreign portfolio investors (FPIs) bought shares worth a net Rs 259.37 crore yesterday, 23 July 2018, as per provisional data released by the stock exchanges. Domestic institutional investors (DIIs) bought shares worth a net Rs 124.82 crore yesterday, 23 July 2018, as per provisional data. Among corporate news, on a consolidated basis, ACC's net profit rose 0.77% to Rs 328.74 crore on 13.75% rise in net sales to Rs 3767.90 crore in Q2 June 2018 over Q2 June 2017. The result was announced after market hours yesterday, 23 July 2018.